The post outlines five common inventory management mistakes and their suggested solutions. However, I’d like to take the time and offer our perspective on each point. This essentially means getting alerts on the level of stock available - whenever it gets too high or low. It’s probably easier said than done though. In particular, setting those levels is a multi-variable and complex problem which escalates quickly the more SKUs a company tracks. In addition to this, stock levels minimums and maximums vary over year and it’s a problem where strong business intelligence is required to set sensible reorder points. And although any ERP system should offer functionality towards that goal, actually capitalising on that functionality is another thing entirely. 2. Allocating funds on training people to use your brand new ERP is somewhat overrated. ERP should be friendly and basic self-explanatory without seminars and additional costs. It should be similar to Facebook for a business - once you’re in you should be able to immediately know what you have to do to use the platform. As such, it makes more sense to spend a bit more in advance (to better research the market or hire a consultant who will provide you with a usable solution) than to cure usability issues with training seminars. 3. 'Rearranging’ your products in your warehouse in order to optimise picking and packing is again something easier said than done. Simply identifying for example the products that move faster - once you have a few thousand SKUs would be a full business intelligence exercise on its own. Also the actual ‘rearranging’ within your warehouse is obviously done at the same time as regular business but it should also not introduce any disruptions - again a major challenge. Both tasks are things that should be addressed however - despite their complexity. 4. Missing out on technology functionality you are paying for already is unacceptable. Usually lots of features go unused - not because they wouldn't offer value to the business processes but because they are perceived as complicated. But this isn't about training employees. A business is not to blame for not providing adequate training for capitalising on such extra functionality. It is the purchase - and actually the process before the purchase - that’s responsible. 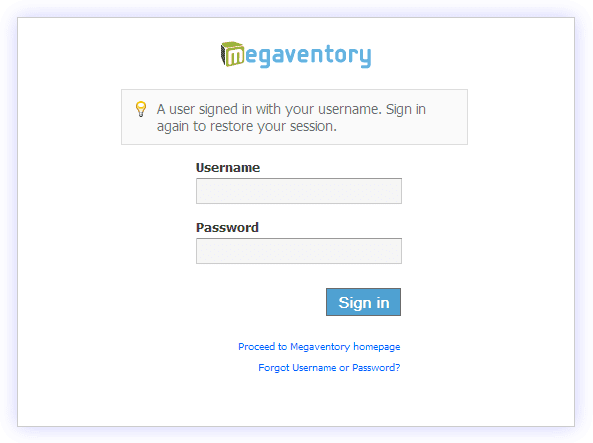 Proper inventory management software should speak for itself and enable its users to employ all its features effortlessly. 5. Finally, yes, inventory checks every year or equivalent period should cease to exist. Instead though of simply arranging for shorter check cycles (e.g. once a month or even a week), the proper way of checking your inventory actually matches what the software says is choosing a piece of software which updates all relevant information automatically. That’s the way to essentially negate the need for regular physical counts. Technological and usability developments have allowed us to operate our businesses in much more efficient ways and there's no excuse in not making the most of them.